Jesobel Jones is a loud, bold, brash and confident daughter of a former model and rock star. She sees no need to apologize for who she is including her weight. However, when her prep school has an occasion that allows students to wear their own clothes, Jess had a wardrobe malfunction that makes her a target of the popular girls. It exposes Jess and leaves her feeling vulnerable and questioning her lifestyle. Will Jess be able to regain her self-confidence? The witty book reads like a "Mean Girls" episode script. It was filled with teenage drama and angst along with humor. However, I found it be very predictable and hard to enjoy the main character. I like that she was outspoken and self-confident but I found it discouraging that she didn't want to be judged by her looks but did it to others. I don't think being self-confident comes at the expense of others. If you enjoy books with a "Mean Girls" theme, you will enjoy this one. confidence, and she starts to wonder if she’s been just a little too comfortable in her own skin. When the boy of her dreams invites her to a party, she must decide whether to try to fit in for the first time in her life, or remain true to herself — whoever that really is. 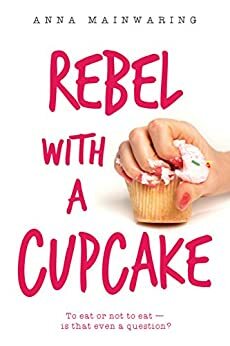 3 winners will receive a finished copy of REBEL WITH A CUPCAKE, US Only.